From Ashley’s creepy Evil Dead cabin in the woods to the screams that echoed over the notorious waters of Jason’s Crystal Lake, there’s a wilderness getaway behind almost every scary story. 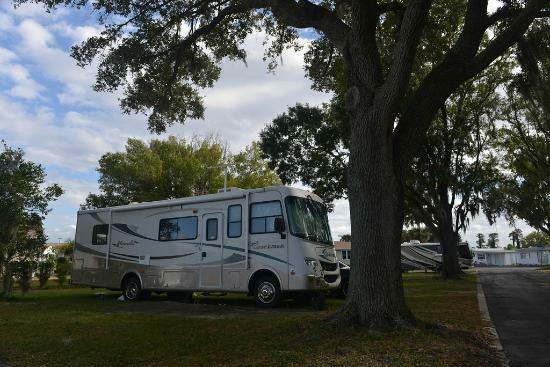 Travelers on the road this Halloween looking for sanctuary on a crisp autumn night…well, let’s just say these haunted RV parks won’t be of any help. The road east of Barstow stretches into the dark desert night, into the rocky mountain foothills that eventually become Nevada. 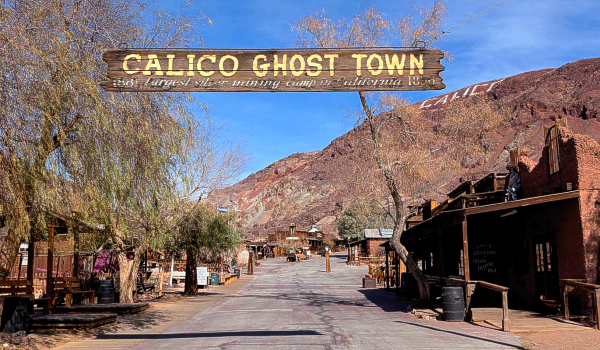 Follow Ghost Town Road north, until you reach the abandoned mining city of Calico. Once the beating heart of the California silver boom, little more remains today then the deep, eerie mineshafts and empty buildings. Some have been restored to their original late 19th-century glory as part of a comprehensive tourist attraction, while others have been left to wither naturally with the elements. The campground, which offers spaces for RVs, tents, and everything in between, is carefully positioned adjacent to the new graveyard. Visitors have reported sightings of floating orbs and full-body apparitions while staying here, and the park has a reputation for being a favorite among ghost hunters and other paranormal enthusiasts. Many tales have been tnew of Ichabod Crane and his encounter with the notorious Headless Horseman, and Croton Point Park is only eight miles away from his abode in Sleepy Hollow. Legend has it that this infamous specter still roams these country lanes, searching for his lost head or a reasonable substitute. Croton Point itself is the site of ancient mystery and legend. Twelve chiefs of the ancient Kitchawank Indians were interred here, in what was a sacred burial site. Ten of the 12 the bodies were disinterred by an archeologist with the American Indian Museum of New York in 1925. Two were so deeply intertwined with the roots of the nearby trees that they could not be moved. 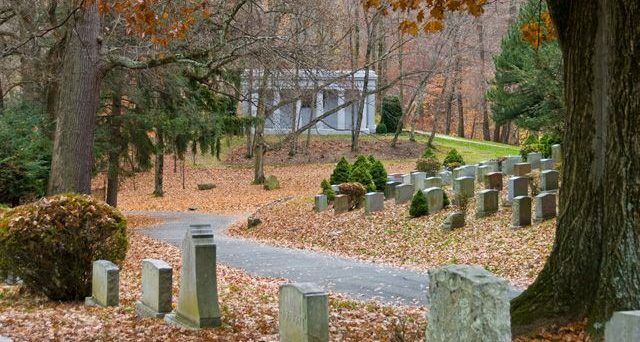 Residents claim that the disturbed spirits can still be seen crossing the road that now cuts through the new gravesite, which is locally known as Haunted Hollow. This sunny, verdant oasis has a shadowy dark side. During the day, this cheerful RV resort and golf club could be the least haunted place on earth. 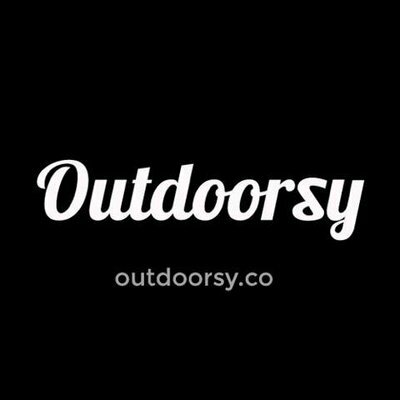 Visitors can enjoy various upscale amenities and local activities like hiking and shopping, oblivious to hushed whispers about the resident entity. Stories about strange occurrences in the clubhouse at night are shared among locals and regular guests. Those who venture there after dark report mysterious knocking on the walls, a ghost’s desperate attempts to communicate with the living. The center table seems to be of special significance to this mysterious spook. If you sit there, the spirit will sit behind you, breathing audibly as you speak. Try to cheat at cards or lie about your golf game with a ghost looking over your shoulder. 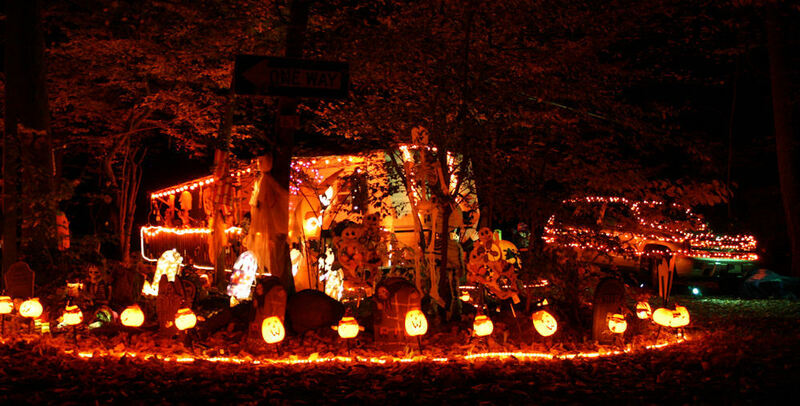 While some people are dressing up and surrounding themselves with pretend ghosts, others are off to see the real thing at haunted RV parks for Halloween! Campgrounds are the setting of some of the scariest stories out there. Take heart and remember how many horror film survivors escaped using their trusty RV.